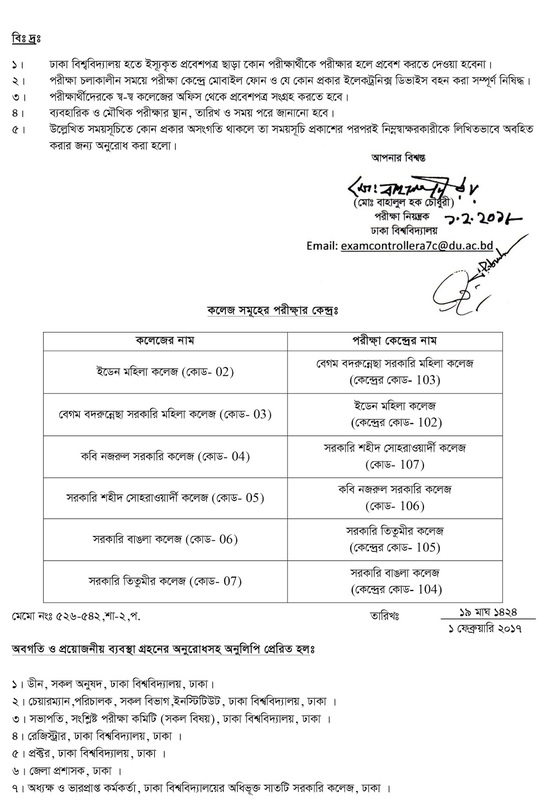 University of Dhaka Under the affiliate 7 college Masters Part-1 Exam Routine has been published. 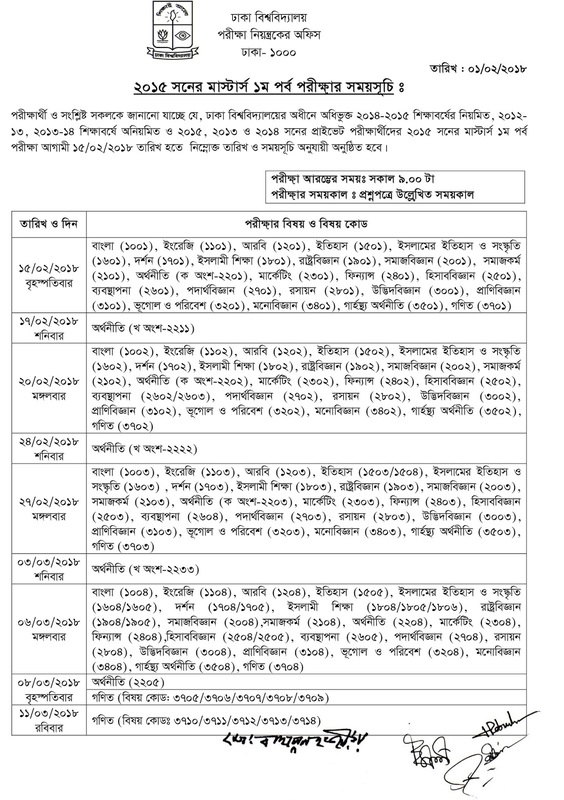 Examination 2015 Seeson is going to start 15/02/2018. This exam routine will be applicable for 2014 to 2015 (regular) and 2012-2013, 2013-2014 (Irregular) and 2013, 2015 and 2016 (Private). The Exam routine of all 7 college under college together. 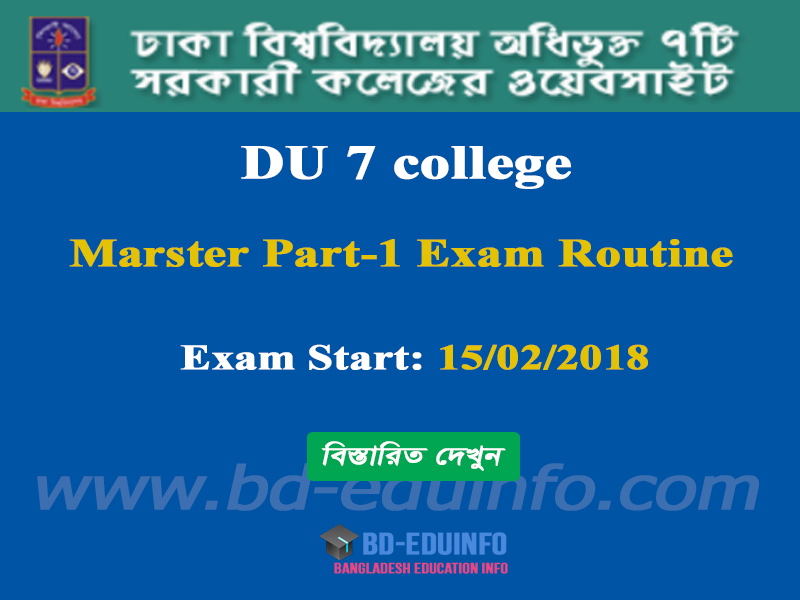 Tags: www.7college.du.ac.bd, www 7college du ac bd, 7 college Marster Part-1 Exam Routin, 7 college Marster Part-1 Exam Ressult, 7 college Marster Part-1 Exam Center, 7 college Marster Part-1 Exam Date. 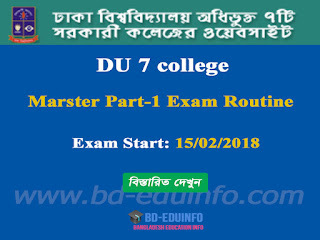 www.7college.du.ac.bd, www.7college.du.ac.bd, 7 college Marster Part-1 Exam Routin, 7 college Marster Part-1 Exam Ressult, 7 college Marster Part-1 Exam Center, 7 college Marster Part-1 Exam Date.